Crystal Lim in Environment on 8 April, 2017. Dating back to the Cretaceous period, Leatherbacks are now the largest living turtles in the world. It is the Cretaceous period, and animals like the Tyrannosaurus Rex, Triceratops and the Centrosaurus roamed the earth. India was right beside Madagascar, and the United Kingdom was not yet an island of its own. Humans were not yet in existence – it was a world before science, language and politics. It was a young Earth. Amongst the creatures that existed, a single creature has managed to evolve from the Cretaceous period that still lives now. They are massive – the females weigh 200 pounds and the males are at least twice as heavy. Leatherback turtles are the 4th heaviest reptile in the world and are the largest living turtle. The females can grow up to 6 feet long, and they are the world’s most avid travellers. They have been known to travel from the Caribbean to Europe in a span of 3 months. Also known as ‘lute’ or ‘leathery’ turtles, these Leatherbacks live in the cold depths of the North Pole or Scandinavian waters. The shell of the Leatherback is unique amongst turtle as they are not hard, and their limbs or head don’t retract into these shells when under threat. Leatherbacks can dive vertically for up to 4000 metres, which is incidentally their only form of escape from their predators, the Orca whale and the Great White Shark. These predators cannot dive vertically, so are unable to catch the Leatherbacks. They do get an occasional nibble of the hind flippers, but vertical diving has saved many a turtle from being devoured by their predators. Leatherbacks are as much a predator as they are a prey, but their diet consists of jellyfish and tiny fish. They eat up to twice their weight every feeding session, so you can imagine how many jellyfish they would have to consume to grow to the size they are. Man’s (im)mortal enemy, the Man of War and the box jellyfish, are amongst the Leatherbacks’ favourite foods simply because of their size. In this way, the turtles regulate the population of jellyfish. The Leatherbacks have spines inside their mouths hard enough to break down the jellyfish they swallow whole. By the time the jellyfish reaches their stomach, it is basically water. Those spines are hard enough to break down the jellyfish, but not anything harder; this does, however, make the Leatherback’s mouth one of the most terrifying in the world. From March to June, the female Leatherbacks come back to the beach where they were born and lay eggs on that beach, but the males are almost never sighted. In fact, the only ever sighting of a male was in 1996 – a male Leatherback unfortunately got caught in a fishing net and drowned. Each female lays around 80-120 eggs each time they build a nest, and during the laying season, each female lays about 5-6 times. Of all the eggs laid, only 50% would hatch. Even of that 50%, the chances of a turtle surviving and growing to the age of sexual maturity is alarmingly low, at 1 in 100. The other 50% are duds, to be devoured by vultures or stray dogs digging up the sand in the beach. 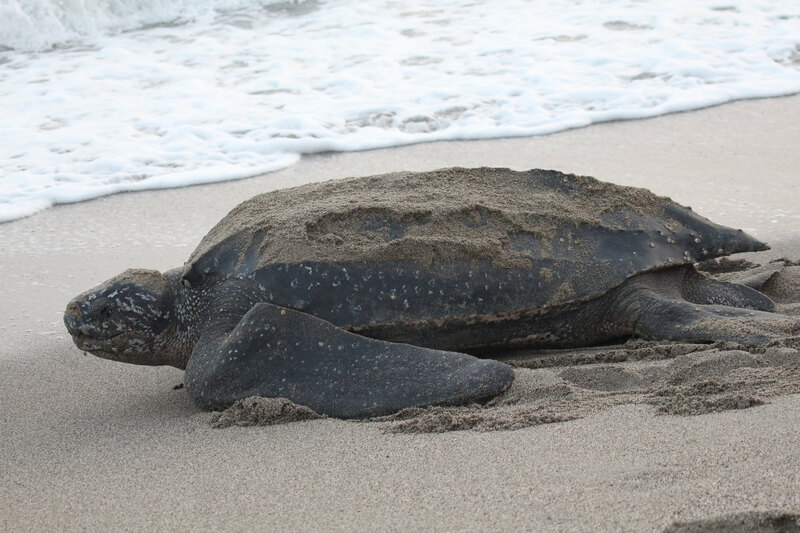 I had the chance to watch Leatherback turtles nest in Grande Riviere, Trinidad and Tobago. During peak season, hundreds of females come to the same beach and lay their eggs – it’s a turtle traffic jam. Mothers would find their spot and dig a hole about 3 feet deep, and then go into a trance and start laying eggs. The problem here is that the mothers are not very smart – they could be digging up other nests, other eggs, or perhaps their own previous nest. Once the eggs are tampered with and the temperature of the surroundings change, the eggs will become duds. In a way, they are their own worst enemy. Leatherback eggs cannot be artificially hatched – they must be in the sand because the temperature of the sand determines the gender of the turtles. Leatherback turtles never survive in captivity either, as they are meant to travel far and wide and find male Leatherbacks to mate with. A female Leatherback: her shell is 156cm long and 112cm wide. Due to these circumstances as well as the extensive poaching of Leatherback eggs, the Leatherback is now vulnerable – bordering on endangered. Their predecessor, the Jahrbuch turtle, is extinct. Around the Caribbean there are organisations in place to aid in the conservation of Leatherbacks, including movements to help baby turtles get into the sea without getting eaten by falcons. However, as few know about these turtles and their nesting habits there still exists a lack of awareness around conservation efforts. Along the coast of Malaysia, Leatherbacks are extinct locally because the eggs were taken and used for medicinal purposes. Trinidad has many beaches on which the turtles come and nest. As a result, there is an active organisation working to conserve these turtles. 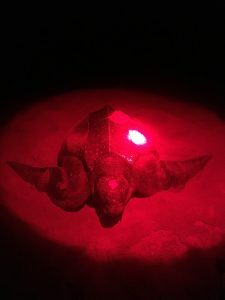 An example of their efforts includes the use of infrared lights in hotels and resorts by the beach; if normal lights are used, the turtles would mistake them for moonlight reflecting off the sea and move towards the hotel, breaking fences and scaring guests in the process. Like I said, they’re not very smart. When the Leatherbacks first come to nest, the volunteers fit them with microchips and two metal tags so that their movements can be tracked. I had the opportunity to learn about the tag and track process – the turtle is first measured (and those I saw were about 165cm, or 5 ft 4 long), and then they check the hind flippers to see if she is a return or a new turtle. In this way, not only her movements, but her growth can be tracked as well. Because of the reclusive nature of these turtles, there is insufficient data on them, and it is only through tagging and tracking can we determine the growth rate and lifespan of these turtles. To find out more about the conservation efforts in Trinidad, you can visit the website: www.turtlevillagetrust.org. The vision of this particular organisation is to raise awareness about these magnificent Leatherbacks, and promote tourism to actually watch them lay eggs, because the ticket sales go directly towards conservation efforts. Plus, it is as good a reason as any to visit Trinidad and Tobago – the country in itself is an untouched gem in the Caribbean. Alternatively, you can get involved by sponsoring a baby turtle or adopting a nest – it all counts towards the conservation of these majestic creatures. 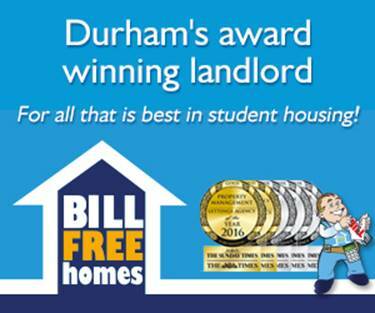 It’s a tale as old as time – we can do our part and keep that story alive.